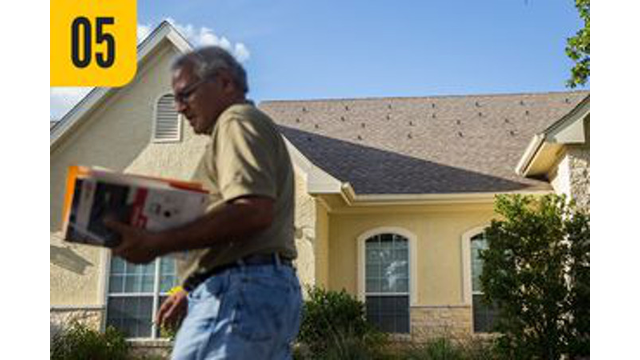 BASTROP – Nipendra Patel thought it made sense to put solar panels on the broad roof of the home he built more than 12 years ago. Unplugging from the electric grid would be good for the environment and save him money in the long run, he figured. And as an electrical engineer who completed a special program in solar design, he could build the system himself relatively cheaply. So Patel drew the blueprints. He installed mounts on his roof. He calculated that he would break even in four or five years, no longer dealing with utility bills. But last December, he received a letter commanding him to “CEASE AND DESIST” from tinkering on his roof. It came from his homeowners association at The Colony, which feared the solar project would be an eyesore, out of bounds under community guidelines. In many cases, Texas law limits the power of neighborhood associations to regulate or ban home solar power systems. But The Colony shut Patel's project down by slipping through a loophole in the law. Although the neighborhood is more than a decade old, the letter pointed out that it is still controlled by its developer — Forestar Group — and considered “within the development period” that has no end in sight. This year, the Texas Legislature came to aid of those in Patel’s predicament. Senate Bill 1626will close the loophole that allowed developers to keep solar power out of communities that keep “developing” for decades. The law, which takes effect Sept. 1, says developers of expanding neighborhoods larger than 50 homes may not ban solar devices. “They cannot say 'no' anymore,” said Patel, standing in his front yard as the summer sun beat down on a roof pocked with mounting studs, but devoid of photovoltaic cells to soak up the rays. Though small in scope, the new law, which sailed through the House and Senate, illustrates the state’s growing embrace of solar power after a relatively slow start. And as one of the top priorities for solar power advocates last legislative session, it also underscores a shift in strategies for solar power advocates in Texas and elsewhere, as improving technology drives down the cost of harnessing the sun’s energy. Because of its size and intense radiation, Texas leads the nation in solar energy potential, but the solar industry has long struggled to get a foothold as policymakers have provided fewer incentives than other states. Solar energy currently makes up a tiny percentage of the state’s energy portfolio. The state added roughly 129 megawatts of solar capacity in 2014, including about 15 megawatts at homes, reaching a total of 330 megawatts, according to GTM Research, an energy market research firm, commissioned by the Solar Energy Industries Association. Though still a far cry from California and a few much smaller states, Texas’ annual growth has increased almost sixfold since 2010.